Olivia and Jared attended the 2018 Winnipeg Folk Festival in partnership with The Manitoban. Here’s a few articles from the festival and the people that made the experience great. 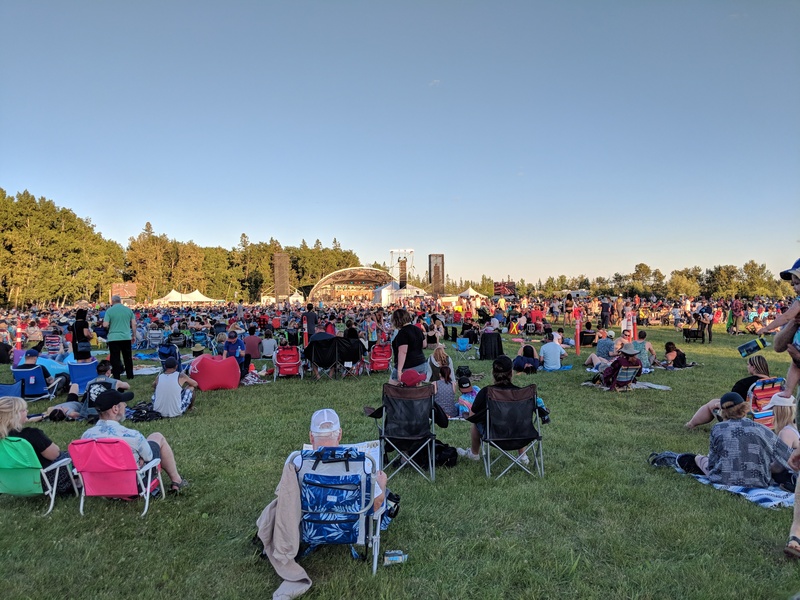 The annual Winnipeg Folk Fest (WFF) celebrated its 45th year with over 70 bands gracing the nine stages nestled in Birds Hill Provincial Park. Jam-packed lineups had musicians playing daytime stages starting at 11 a.m. until the main and Big Blue stages kicked off evening programs that continued into the night. Whether towering over the campground or tucked among the trees, Winnipeg Folk Festival (WFF) art and animation installations welcome festival goers and encourage a sense of community. Coming in forms of visual art, performance and interactive animation service, the WFF provides financial support for items utilized by campground participants, information and promotional support for applicants, aiming to enhance the festival experience with artistic projects. Each musician’s path to success is different. For some, like Winnipeg Folk Festival performer Skylar Bouchard, that path starts in the Stingray Young Performers program. “[I] was elated when they chose me to be a part of the program as I’ve been going to the festival for close to a decade,” said Bouchard.